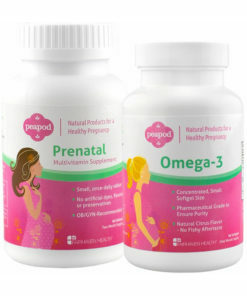 A 2-month supply of PeaPod Prenatal Vitamins and Omega-3 in a convenient combo pack. 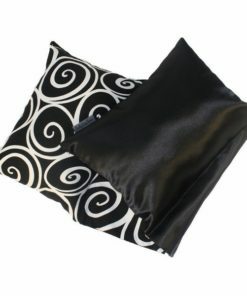 Save up to 20% by ordering both products together. 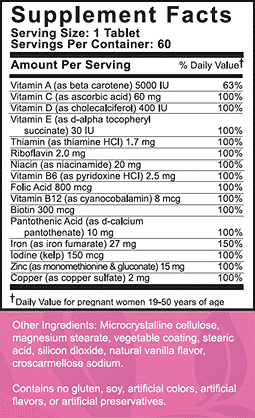 Our PeapPod family of supplements provides all-natural, comprehensive prenatal nutritionfor both you and your baby. 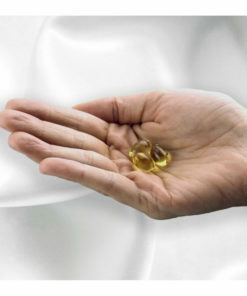 The PeaPod Prenatal Vitamin and Omega-3 we designed to help ensure a healthy pregnancy. 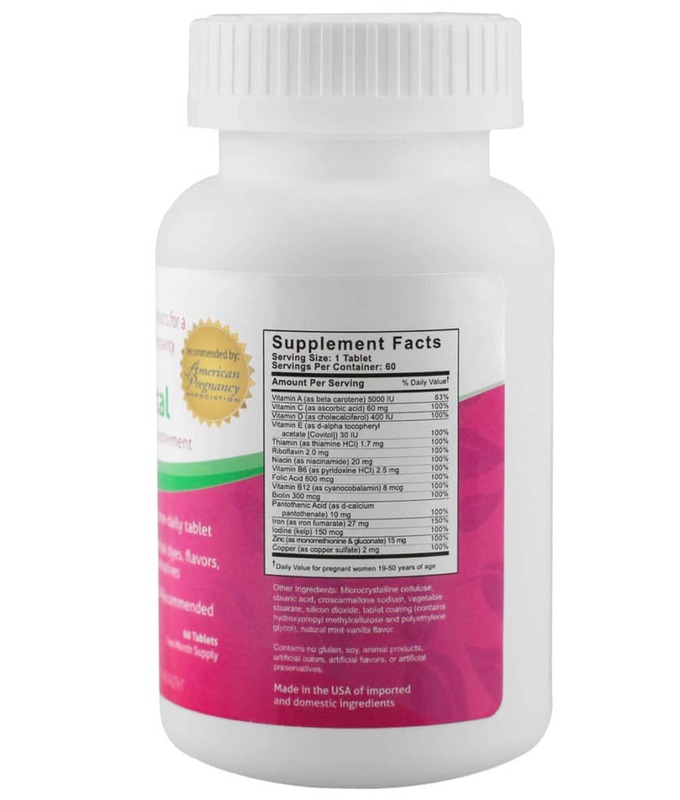 Both supplements are considered an essential part of prenatal nutrition and are now available in a convenient Value Pack. 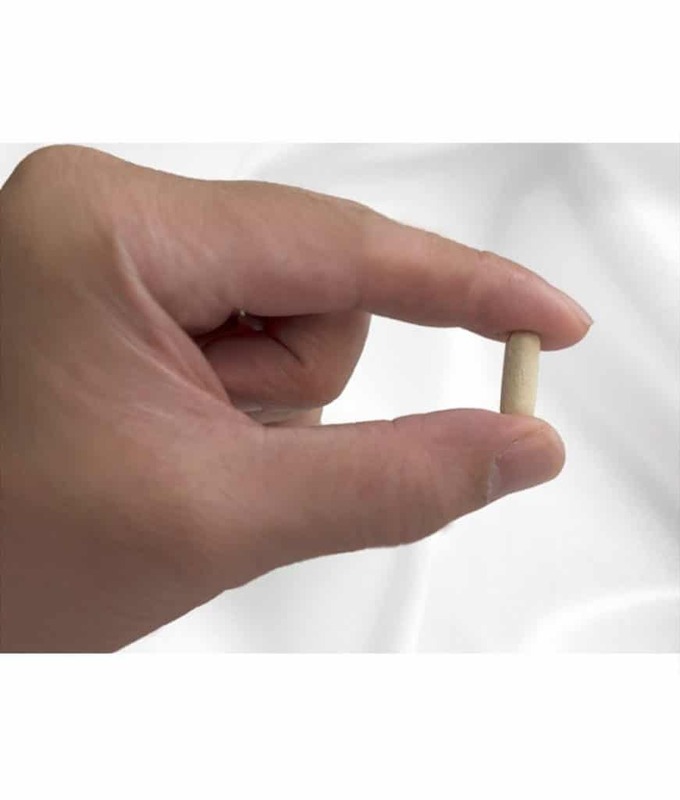 PeaPod Prenatal offers all the vitamins and nutrients required for optimal prenatal nutrition in a small, once daily tablet. Unlike other prenatals, PeaPod Prenatal contains no artificial dyes, flavors or preservatives making it completely safe for both mother and baby. Our Omega-3 softgels offer a natural source of the Omega-3 fatty acids that are vital to help ensure the proper development of your baby’s brain, heart, and eyes. Our Omega-3 is molecularly distilled to ensure purity and provides a DHA-Enriched, doctor-designed formula to optimize prenatal health. 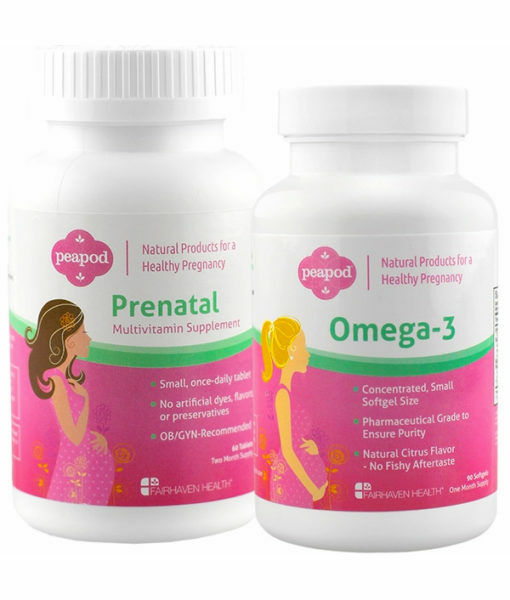 The PeaPod Prenatal & Omega-3 Bundle offers great convenience and savings while providing assurance that you’re getting all the nutrients deemed so essential during this critical time. All-natural and guaranteed for product quality and potency, PeaPod is a brand expectant mothers can trust. Each Value Pack is a 2-month supply, save up to 20% on multiple bottles! Our PeaPod Prenatal Vitamin, and Omega-3 conveniently bundled together in one combo pack, priced at a discount. Each Value Pack provides a 2-month supply (1 bottle PeaPod Prenatal Vitamin + 2 bottles Omega-3). PeaPod Prenatal is a small, once daily tablet that provides the ideal balance of key vitamins and minerals – including folic acid. 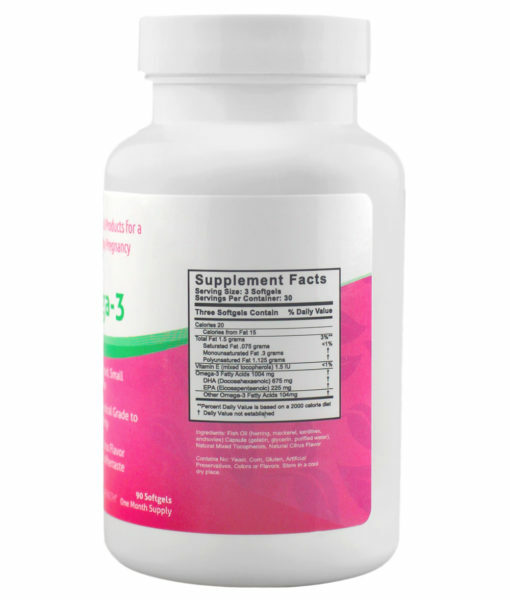 Our Omega-3 supports healthy fetal development and is molecularly distilled for maximum purity. Dosage: For adults only. 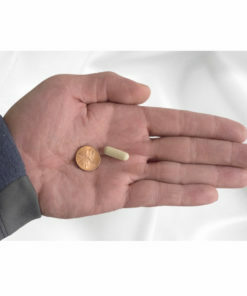 One tablet or as directed by a physician. Do not use if seal under cap is broken. Store in a cool, dry place. 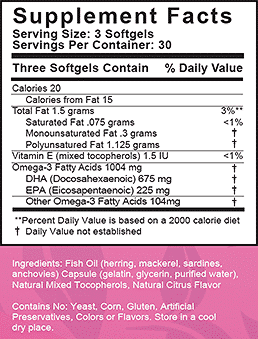 Directions for Use:Take 3 softgels a day, preferably at meal times or before bed. Keep out of the reach of children. Is this one month supply? 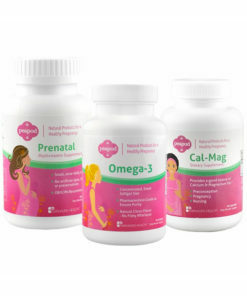 This bundle contains a 2 month supply- 1 bottle of PeaPod Prenatal + 2 bottles of the PeaPod Omega-3. When can you begin use? You can begin use while still trying to conceive, and throughout your pregnancy! 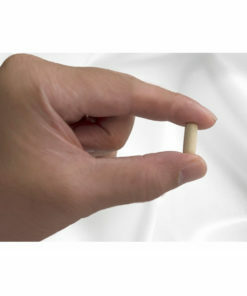 You will take 1 PeaPod Prenatal and 3 PeaPod Omega-3 capsules per day. 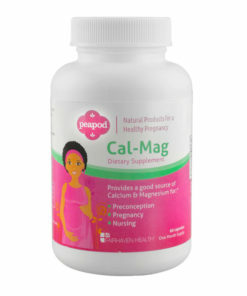 For more information about PeaPod Prenatal, please visit the product page. For more information about PeaPod Omega-3, please visit the product page.